Hodo Soy Beanery’s story begins with founder Minh Tsai, who wanted to create a type of tofu that, in his words, “the Asians would eat.” Tsai had a vision to create a reliable, healthy, and unique tofu that people could enjoy. 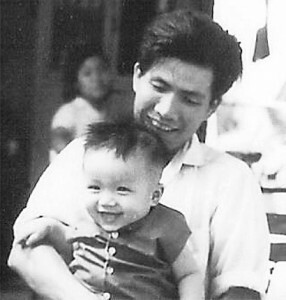 Backed by his passion for tofu that he first experienced from his grandfather in his younger years in Vietnam, Tsai successfully created Hodo Soy Beanery in 2009. Hodo Soy has come a long way from its initial start-up, all thanks to Tsai and the amazing team that keeps the beanery running. Although Hodo Soy prides themselves on having a clean and spacious facility, they also take extreme care in making sure they have an environmentally efficient beanery. When walking through the beanery you will find yourself surrounded by 12,000 square feet of open space with high ceilings and skylights. The skylights provide natural light, reducing the beanery’s need for artificial lighting. Hodo Soy uses a steam boiler to further keep electricity needs to a minimum, and a chill tank to cool down the tofu instead of pumping large amounts of cold water every day. So just what type of products will you find at this unique tofu factory that sets it apart from all of the others? Products found at the beanery include silken tofu, medium-firm tofu, firm tofu, unsweetened and agave sweetened soy milk, and yuba. For those who like unique tofu snack items, you will find spicy yuba strips, hijiki tofu salad, and more. Hodo Soy sources all of their soy beans from farms in the United States. One of Hodo Soy’s beliefs is that by using good beans, they will ”produce good products, and when our company acts as a ‘good bean’ we grow good communities and attract good people.” When thinking about food and people, at the core of these two groups is the connection they have to one another. Establishing a good connection with the food we grow, process, and eat is crucial to sustaining the food system and our communities. 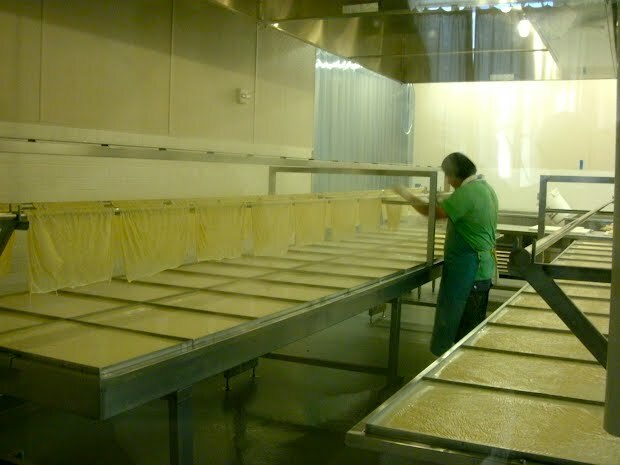 Hodo Soy demonstrates that facilities can be sustainable and environmentally conscious, all while producing the best tofu you’ve ever eaten. This entry was posted in Food Warrior Interns, In the Pantry (food artisans) and tagged ashlee johnson, food warriors, hodo soy beanery, tofu. Bookmark the permalink. 2 Responses to “The Best Tofu You’ve Ever Eaten.” Oxymoron? Not for Hodo Soy! Looks incredible! I bet their yuba is divine. I’m lucky to live where small batch really awesome tofu is made by a local group. It would be a shame to eat the bland corporate-made stuff ebeing sold in the chain grocery store when there are tofu producers who are proud and passionate about their genuine food. Thanks to you Food Warriors for getting the word out. REAL food rocks!